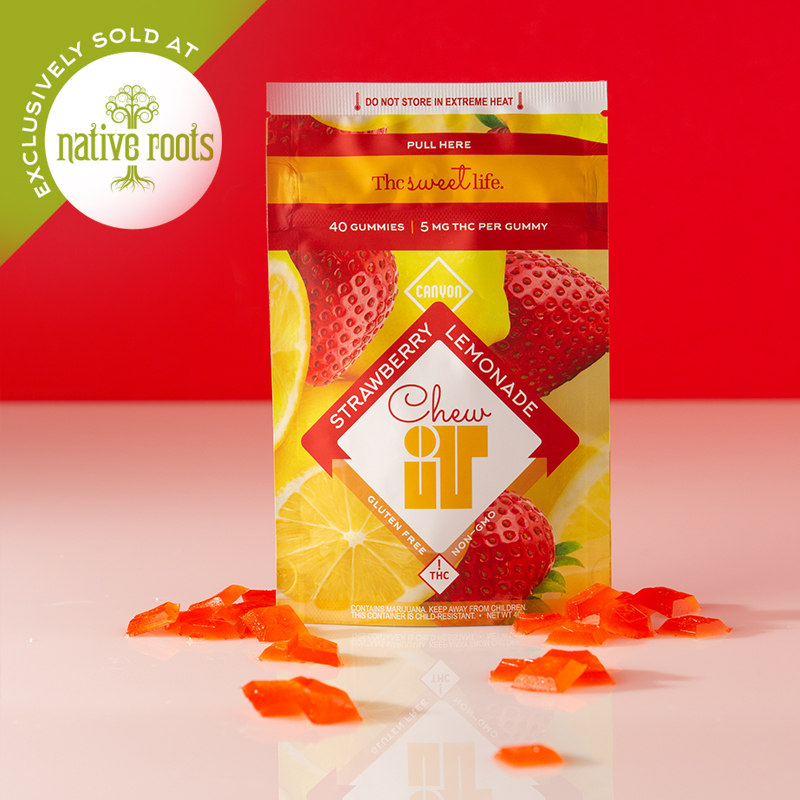 ChewIT Flavors — Canyon THC : Thc Sweet Life. Perhaps the only drawback to most gummies is that you only get to eat one or so. That’s why we created these lower dosage yummies. You get all that lemony, limey, strawberry flavor with all that tasty fun. Every package still contains 100mg of premium THC, so you’re not missing out. Every package is child-proof and resealable.As always remember to pace yourself with these tasty buzzy treats.